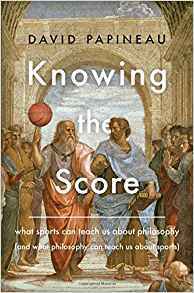 David Papineau is the author of the new book Knowing the Score: What Sports Can Teach Us About Philosophy (and What Philosophy Can Teach Us About Sports). His other books include Philosophical Devices and Philosophy. 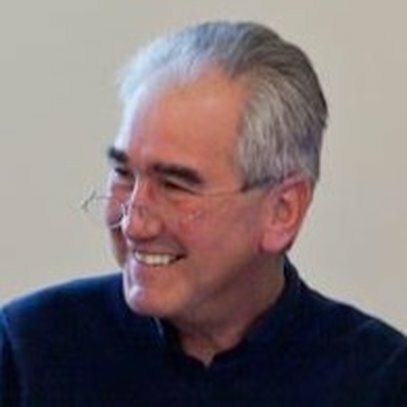 He is a philosophy professor at King's College London and the City University of New York, as well as a sports fan and participant. 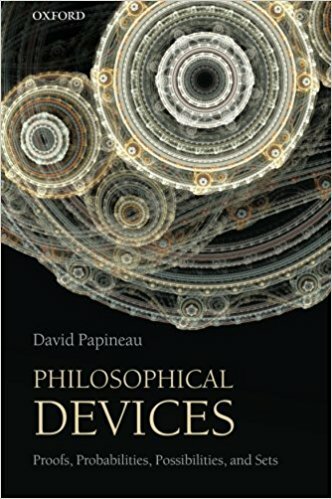 Q: How did you come up with the idea for your new book, and what do you see as the connection between sports and philosophy? A: I’ve always been a keen sports fan and amateur athlete, but I’d never put these enthusiasms together with my philosophical day job until recently. But then a couple of years ago I was asked to do a lecture in a series on philosophy of sports. I wasn’t excited by the obvious topics – like “what is the definition of a sport?” or “what is the value of sports?” – and so instead I addressed an issue that’s always puzzled me, namely, how do athletes in fast-reaction sports like baseball and tennis select their shot when there’s scarcely enough time to see the ball? This turned to be a philosophically fascinating question, with all kinds of implications for general issues like consciousness and free will. This rather opened the floodgates for me. I realized that many aspects of sports provide material for serious philosophical analysis. Q: What surprised you most as you worked on this book? A: I hadn’t expected that there would be so many different philosophical dimensions to sport. Time and again, the sporting evidence offers insights that aren’t available elsewhere. I started to think of sports as the philosophical equivalent of particle accelerators in physics. Just as particle accelerators allow physicists to find out how matter behaves in exceptional high-energy conditions, so sports show us things about human beings that aren’t normally apparent in less testing conditions. Q: You discuss a wide variety of sports in the book--can you give a couple of examples of sports that fit well with a particular type of philosophical thinking? A: Well, to start with, there are the fast-reaction sports like baseball, tennis, cricket, squash, and table tennis. In all of these, it takes less than half a second for the ball to reach the receiver. That’s no time for anything except reflex reactions. Yet at the same time the athletes’ responses will depend on their consciously chosen game plans. This tells us something about the way conscious decisions guide actions in general, not just in sports. I’m now trying to persuade my non-sporting colleagues in the philosophy of mind that the sporting material undermines their conventional theories of human decision-making. Cycling also features prominently in the book. The tactics in road cycling are incredibly complex, because of the way that a cyclist pushing through the wind expends about 50 percent more energy than one “drafting” in someone else’s slipstream. This creates incentives for cyclists to help each other in various ways, even when they are in direct competition. Overall, cycling provides an unparalleled resource for anybody who wants to understand the complex interplay of selfish and cooperative motives in human affairs. Many of the most interesting philosophical points, however, derive from comparisons between different sports, rather than from any single sport. For example, one section of the book looks at the differences between the codes of fair play in different sports, and uses this to cast light on the difference between universal moral principles and variable local customs. Similarly, in another section I look at the striking way in which excellence is passed from parents to children in some sports, but not others, and this allows me to draw general conclusions about the kinds of family resemblances that are due to nurture and those that derive from nature. Q: Another area you look at is what happens when athletes "choke." How does that connect with philosophy? A: This is to do with my analysis of action control in fast-reaction sports. As I see it, conscious decision-making does all its work before the moment for action arrives: you formulate a plan before the game, perhaps adjusting it during pauses in the action as events unfold. But once you have opted for a strategy, you must then hand it over to your body and its unconscious control mechanisms to execute it in the few milliseconds allowed by a ball arriving at around 100 mph. Still, this “handing over” isn't a trivial business. It takes metal effort to make sure your body sticks to the agenda. This is why athletes have to concentrate, to focus, to keep themselves “in the bubble.” They need to hold their planned intention firmly in mind, in order to stop their bodies doing something else. This isn't always easy. Perhaps your mind is in a turmoil because of personal problems, or perhaps you are just tired out. Or perhaps you become distracted by the pressure of the big occasion. “Choking” refers specifically to this last threat to mental focus. If you are about to win your first tennis grand slam, or an Olympic gold medal, it is hard not to start thinking about how success – or failure – will change your life. And this in itself will make you perform badly. You become distracted. Anxious thoughts fill your head, you lose focus on your performance, and the chance of victory slips away. A: I think I’m going to give sports a break for a bit. 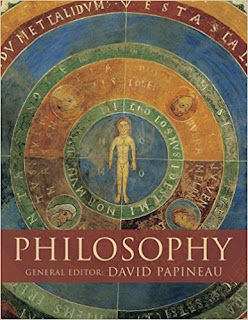 I’m halfway through a book on the philosophy of perception, and after that I have plans for another book on the metaphysics of causation. But I do have some new philosophical thoughts about sporting issues, so maybe in time I will write a sequel to Knowing the Score. A: Not really. I’m as keen as ever on both sport and philosophy. Yesterday I played three sets of tennis. Later this week I’m giving a new talk on causation.